Bilaspur State had an area of 453 sq. miles with a population of 110,336 (1941) in 992 villages and maintained a force of 80 infantry. Situated on both sides of the Sutlej, which traversed it east to west, the domain divided into two equal parts called the Parla (Trans) and the Warla (Cis). Mandi and Kangra bordered on the north, on the west by the Hoshiarpur district, on the south by Nalagarh, and on the east by Baghal and Suket. The capital of the state was originally at Jhandbari and then at Kot Kehloor, but was later transferred to Bilaspur. The Rajas were members of the Kheloorea clan of the Chandravanshi Rajputs from the ancient Rajas of Chanderi in Bundelkhand. 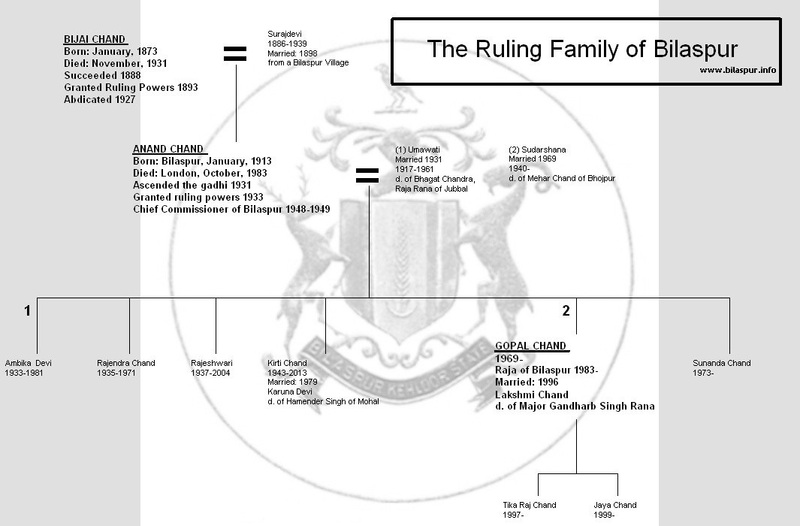 HH Raja Bijai Chand succeeded his father in 1889 when he was only 16 years old. He was given the decoration of the Companion of the Star of India on the occasion of the Delhi Durbar in 1911 and was made Knight Commander of the Indian Empire (KCIE) in 1918. During World War 1 he placed his personal services and all the resources of his State at the disposal of the British Government. HH Raja Anand Chand was born on the 26th of January, 1913. He studied at Mayo College and then went to Delhi and engaged in Civil and Judicial training in the Gurgaon District before he was invested with full ruling powers on the 9th of January, 1933. He abolished Begar (heavy labour) in 1936 and passed legislation abolishing child marriage. In 1942 he introduced the Bilaspur Prohibition Act. Additionally under his leadership new roads were constructed linking the capital with both Suket and Mandi, and likewise new schools and health centres were constructed. He also built the Shri Gopalji Temple and the New Palace, which were later submerged in the Bhakara Reservoir along with most of old Bilaspur Town. He received the KCIE in 1945 and also served as a Member of the Constituent Assembly (1947-1948). On the 12th of October, 1948, Bilaspur was constituted as a centrally administered area, and the HH Raja Anand Chand was appointed Chief Commissioner with a Deputy appointed by the Government of India. On the 26th of January, 1950 Bilaspur became a Part C State. On the 1st of July, 1954 it was merged into Himachal Pradesh. HH Raja Anand Chand served in the First Lok Sabha (1952-1957) representing Bilaspur. 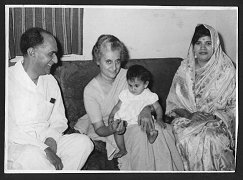 Later he served in the Rajya Sabha (1958-1970) and was a member of the Himachal Pradesh Legislative Asembly (1977-1982). HH Raja Anand Chand married Umawati of Jubbal in 1931 and had four children. Rani Umawati died of a heart attack in 1961 in Dr Sen's Nursing home in Delhi. 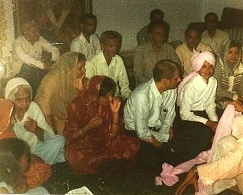 Raja Anand Chand married Sudarshana Kumari, daughter of Mehar Chand of Bhojpur, in 1969. They had two children, Tika Gopal Chand and Rajkumari Sunanda Chand. HH Raja Anand Chand died on the 12th of October, 1983. 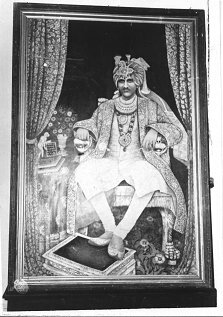 According to his Will's provisions, HH Raja Anand Chand bequeathed his main residence, Gopal Niwas (now Raja Gopal Chand Palace) in Bilaspur, to his son, Tika Gopal Chand, who also performed his last rites at Bilaspur. HH Raja Gopal Chand was educated at the City of London School for Boys (1979-1987) and received his MA and PhD (1995) from Trinity College, Cambridge in the United Kingdom. 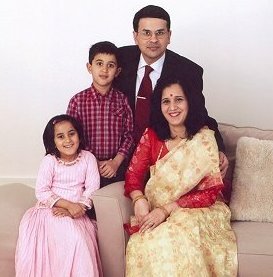 He married Lakshmi Rana, daughter of Major Gandharb Singh Rana, in 1996. They have two children: Tika Raj Chand and Rajkumari Jaya Chand.